5,645 backers pledged $919,925 to help bring this project to life. Would you like to read this in your language? We've created translations in Deutsch, Español, Français, Italiano, Nederlands, Türkçe, 繁體中文, 简体中文, Português & Português Brasileiro, 日本語 and ภาษาไทย! The most advanced automatic instant camera: Lomography has designed the ultimate camera where shutter speed, aperture and flash output adjust automatically for impeccably lit shots in any and every light situation. Packed with Lomography’s signature creative possibilities: Take quick and easy snaps or create surreal works of art – the Lomo’Instant Automat boasts countless creative features to suit your every need. A meticulously designed object inside and out: Small, smart, and beautiful inside-out, the Lomo’Instant Automat is available in four striking designs and delivered in a nifty box filled with goodies to keep the creativity rolling. Fast and easy focusing: Thanks to its simple zone-focusing system with the characteristic click & stop feeling, with the Lomo’Instant Automat you’ll get flawlessly focused images in the blink of an eye. Proud to be back on Kickstarter with our 6th Project: With five successful campaigns under our belt, we are ready for another Kickstarter adventure and excited to offer massive savings and exclusive deals to backers! To see the credits for this and all other photos on this page, please head to our FAQ section. The Lomo’Instant Automat is unlike any other instant camera out there. Fully automatic, jam-packed with more creative features than ever before, and super straightforward to use, it’s the ultimate instant camera for beginners and experts alike. We’ve taken care of the technical side of things so that you can seize life instantly from dusk ’til dawn. Aperture, shutter speed and flash output adjust automatically to make sure that your shots are perfectly lit, foreground and background, in any and every shooting situation. Small, yet mighty, the Lomo’Instant Automat does it all for you, letting you capture even the most fleeting of beautiful moments. Don’t think, just shoot: live fearlessly in the now, be your own inspiration, and create your own universe. The Lomo’Instant Automat has two shooting modes to choose from, meaning that you can take perfectly exposed shots in any and every shooting situation. Whether you’re looking to take a selfie with your friends or create a super experimental piece of art, the Lomo’Instant Automat has you covered. Automatic Mode: Switch to this mode and let the Lomo’Instant Automat automatically adjust shutter speed, aperture and flash output to suit your surroundings. Bulb Mode: Perfect for all you night owls, this mode lets you shoot long exposures of up to 30 seconds. It’s ideal for low-light shooting and creating crazy light paintings! The Lomo’Instant Automat is instant photography at its most creative. Each Automat comes with a huge range of funky accessories to kickstart your imagination, and there’s loads of extra lens attachments available in our fantastic Combo package. Built-in Lens: The lens on the Lomo’Instant Automat has an equivalent focal length of 35mm, so it’s perfect for fuss-free, everyday shooting. Flash Off: Want to try shooting without flash? No problem. Take full control when and where the flash is enabled. Remote Control Lens Cap: Join a massive group selfie or shoot unlimited, shake-free long exposures with this neat accessory. Multiple Exposures: For those moments when one shot per frame is just not enough, with this mode you can shoot unlimited multiple exposures. Exposure Compensation +/- 1: Exposure is all taken care of by Auto Mode, but there might be times where you’ll want to get an extra bright or an extra dark photo. To get a brighter image, press the exposure compensation button to get to +1; to get a darker image, press again to get to -1. LED Exposure Counter: A neat feature that lets you keep track of exactly how many frames you have left in your film pack. Wide-angle Lens Compatible: Broaden your horizons and expand your view to 90° by attaching a Wide-angle lens. With an equivalent focal length of 21mm and a closest focusing distance of 0.3m, it’s perfect for capturing all your friends in a massive group selfie – available now as part of the Combo package! Fisheye Lens Compatible: See up to 170° and give your photos the nautical treatment by attaching a Fisheye lens. This wacky lens has a closest focusing distance of 10cm, so you can take super-sharp circular shots – available now as part of the Combo package! Close-up Lens Compatible: Attach a Close-up lens and shoot sharp and detailed shots from as close as 10cm – available now as part of the Combo package! Interchangeable Color Gels: Each Lomo’Instant Automat comes with a range of Color Gels from which to pick to match your mood. Tons Of Goodies: Each Lomo’Instant Automat comes in a nifty box filled with tons of shooting tips to stretch your imagination and goodies such as photo clips and magnet stickers to display your favorite snaps. Uses Fujifilm Instax Mini: Widely-available, pocked-sized and ideal for keeping in your wallet, putting on your wall, or giving to your friends. Buy it as an add-on (see Add-on menu below) or from the Lomography Online Shop and Lomography Gallery Stores worldwide. Small enough to take with you wherever you go and stylish enough to be proud to be seen with, the Lomo’Instant Automat is available in four striking designs. Lomography are long-time lovers of instant photography. Fun and fuss-free, instant photography goes way beyond the click of a shutter. Instant snaps are ideal for putting on your wall, gifting to your friends, and popping in the post. They’re unlike any of the hundreds of photos stored on your smartphone – they are real, physical objects. That makes them perfect for sharing the joy and spreading the love, and for us, that’s what photography is all about. We simply love the endless creative possibilities that come with snapping a beautiful shot and holding it in your hands just seconds later. That’s why we’ve spent years developing and expanding our very own range of Lomo’Instant cameras. First we brought you the Lomo’Instant, a nifty instant brimming with heaps of features. Then, we broadened our horizons with the Lomo’Instant Wide, an ultra-creative wide format instant. Now, we’re taking your instant photography experience to the next level. Using all our years of experience in instant photography, we’ve taken the best features of the Lomo’Instant and the Lomo’Instant Wide and merged them with some unique new features to bring you the ultimate instant camera: The Lomo’Instant Automat. The Lomo’Instant Automat is a camera for everyone. It automatically adjusts aperture, shutter speed and flash output to make sure that your shots are perfectly lit in any and every shooting situation. Meticulously designed to be effortlessly portable, the Lomo’Instant Automat is jam-packed with creative features and shooting modes and super easy to use. We’ve taken care of all the technical stuff so that you can concentrate on exploring your imagination, capturing even the most fleeting of beautiful moments and sharing them instantly, wherever you go. Read the shooting tips, try them out, but then go above and beyond. Shoot boldly, be your own inspiration and create your own universe. Remote Control Effective Range: Sunshine: 1-2m. Indoor: 5m. Extras (included in the Single and Combo package): Color Gels, photo frames, photo clips, magnet stickers, glue dots, and plenty of inspirational shooting tips to kickstart your imagination. Clockwise: Photo clips, photo stands, magnet stickers, and glue dots. We’ve worked long and hard to get to where we are now, using all our instant photography knowledge and experience to design an effortlessly creative instant camera unlike any other. We’re incredibly excited to be back on Kickstarter for our 6th project, and we can’t wait to deliver this gloriously automatic instant camera to all you lovely Lomographers. Join us on the last steps of this ambitious project by backing us now! To show our love, we’re giving backers the chance to make huge savings on the Lomo’Instant Automat and all sorts of exclusive goodies. With five successful Kickstarter campaigns under our belts, you can rest assured that we will deliver exactly what we promised. The retail launch price of the Lomo'Instant Automat (without the additional attachable lenses) is currently planned as being between $150 and $175, so with the Super Early Bird rewards, you’ll save at least 35% on your camera! We’re aiming at having the Lomo’Instant Automat ready for delivery in December 2016 (please note this is an estimate only). A lot of blood, sweat and tears have already gone into this project, but there’s a few more steps we need to complete in the coming months. With your support, we’re confident that the Lomo’Instant Automat will be the most exciting Lomo’Instant yet. There’s a range of Kickstarter Tiers for you to choose from, each offering a variety of tasty rewards. Check out the list below and pick your tier! (Super) Early Bird, or Kickstarter Special Playa Jardín or Bora Bora Single: Includes the Lomo’Instant Automat Playa Jardín (Black) or Bora Bora (White) Edition to select after the campaign. (Super) Early Bird, or Kickstarter Special Playa Jardín or Bora Bora Combo: Includes the Lomo’Instant Automat Playa Jardín (Black) or Bora Bora (White) Edition to select after the campaign + 3 Extra Lenses. (Super) Early Bird, or Kickstarter Special South Beach: Lomo’Instant Automat South Beach + 3 Extra Lenses. (Super) Early Bird, or Kickstarter Special Punalu'u: Lomo’Instant Automat Punalu'u (only available via Kickstarter) + 3 Extra Lenses. If you want to dive even deeper into the world of creative photography, we’ve got some super special bundles to boost your creativity. With additional Lomography cameras, light painting accessories perfect for all you night owls, premium Art Lenses and even a chance to visit Lomography HQ in Vienna, these super Special Kickstarter Bundles are sure to satisfy your every creative photography craving. For more information on what's included in our Special Kickstarter Bundles, please see our FAQs. Thanks for the Love – Large: Lomography Light Painter + Fotoclips + Lomography Keychain + Lomography Temporary Tattoos. There’s a ton of exciting and exclusive items you can add to your pledge! Choose as many as you desire by simply adding the amount specified in the Add-On Menu below to your pledge. For example, if you decided to pledge for the Kickstarter Special Black or White Single reward priced at $112 and you would also like to receive 3x Fujifilm Instax Mini Single Pack priced at $25, you simply increase the amount you pledge to $137 in total. If you decide that you want even more add-ons after you’ve pledged, don’t worry – you can update your pledge any time up until ten days after the campaign ends. To make sure you’ll get exactly what you ordered, please send us an email listing which add-ons you want. UPDATE: We've added a brand new item to our Add-on menu. It's Bulb Mode’s best friend and a must-have for any creative photography adventure: the Manfrotto Pixi Evo Mini Tripod. Better be quick though, it's available in limited quantities only! Add one to your pledge now for just 45USD. The Lomo'Instant Automat Bag is a Lomography exclusive. The result of our collaboration with Bangkok-based design outlet Above the Fray, this beautiful bag is handcrafted from premium leather and specially designed to keep your Lomo'Instant Automat, film and lenses safe and snug on all your creative photography adventures. Don’t leave your Automat rattling around in your rucksack – add a Lomo’Instant Automat Bag to your pledge now for only 160USD! Hellolulu Compact Camera Bags: Lightweight, versatile, and available in two different styles, these super stylish bags are filled with adjustable padded compartments perfect for keeping your gear secure. You can add one of these nifty bags to your pledge for just 40 (Matt) or 55USD (Dean) – which means you'll save an incredible 20%! Please send us a private message on Kickstarter and specify which model (Matt or Dean) and color (Matt: red, yellow, navy, or navy/black; Dean: pink, navy, dark grey, or yellow) you'd like to receive. Once you’ve added the relevant shipping price to your tier and add-ons and clicked the “Pledge” button, you’re all set. Now all you have to do is be patient – once the campaign is over, we’ll send you a survey asking for your shipping address, and for the details of your pledge. Once you’ve sent that back, we’ll send you your goodies! And don’t worry – the money you’ve pledged will be reserved on your account, but only booked once the campaign is successfully funded and over. Wow. You guys are incredible! You pushed us past our initial goal in no time and we’re so grateful for al lthe support you’ve given us. To show our love, we’ll be adding even more amazing goodies to each Lomo’Instant Automat Kickstarter bundle for every stretch goal we reach! We’ve already smashed through our first three stretch goals, meaning that each and every Lomo’Instant Automat backer can now add even more color to their shots with four extra Color Gel flash filters, slice and dice their snaps into segments with a Splitzer, and keep their Automat safe and secure on all their adventures with a super snazzy camera strap. And there’s more – in celebration of the last week of our campaign and all the support you’ve given us so far, we’ll be giving each and every Lomo’Instant Automat backer a surprise stretch goal reward if we hit the big $1,000,000 mark! So why not share our Kickstarter page on your Facebook, Instagram and Twitter? We’d love to tell you all about our amazing new stretch goal reward, but our lips are sealed until we hit the goal! We're super proud that the Lomo'Instant Automat has been featured twice in some of the first ever Kickstarter Live Sessions! Two of our teams were invited to be broadcast live on Kickstarter as they gave a hands-on demonstration of our clever little camera and all of its funky accessories. Our teams answered tons of interesting questions from viewers, too – thank you very much to everyone who sent in their questions and comments! Hit play on the video below and catch up on the Kickstarter Live Stream from Lomography HQ in Vienna! Cantonese speakers, this one's for you – take a look at the video below to replay the Kickstarter Live Stream from Lomography Hong Kong! Lomography’s instant cameras are unlike any other on the market, and we’re overjoyed and humbled by how many people love them. The Lomo’Instant was a whole new take on instant photography, and it caught PetaPixel’s eye with its wide range of “customization options”. TechCrunch loved all the different designs and creative features, Geeky Gadgets thought the long exposure “B” Mode was “perfect for low light or night-time shooting”, and Gizmag raved about the Multiple Exposures Mode that lets you create “unique composite photographs.” Ideal for landscapes and perfect for selfies, Trend Hunter were impressed that the Lomo’Instant Wide takes “crisp, large shots to produce prints that are larger and more comprehensive than ever.” Veteran film photographer Matt Day loved the easy three step focusing system and the remote control lens cap, and PCMag gave the Lomo’Instant Wide their Editors’ Choice award for instant film cameras, describing it as “the best instant camera” available for purchase. We were absolutely delighted with such positive feedback, and it made us more determined than ever to come up with more instant innovations to fuel your inspiration. That’s why we’ve designed the only instant camera that combines fully automatic settings with a ton of features to give you more creative freedom than ever before. The Lomo’Instant Automat is a camera for everyone, and we hope you’ll join us on the journey to bringing it to life! The Lomographic Society International is a globally-active organization dedicated to experimental and creative photography. Lomography stands for a freer and louder style of shooting – closer to life itself. Through the constantly expanding selection of innovative film cameras, instant cameras, Art Lenses, film & photographic accessories, Lomography promotes photography as a creative approach to communicate, absorb, and capture the world. Lomography Gallery Stores and Embassy Stores all over the world provide the full Lomography product range and a place for exhibitions, workshops, meet-ups and all Lomographic needs. Lomography.com is a thriving online community of creative individuals dedicated to experimenting with photography and pushing the boundaries of what’s possible. Through the enthusiastic engagement of Lomographic Society members, Lomography seeks to document the incredible planet around us in a never-ending archive of imagery – literally a global “Lomographic” portrait as seen through the eyes of countless individuals and cultures. The Lomo’Instant Automat will be available for delivery to most countries around the world. As shipping, handling and local charges (excluding customs fees) vary from country to country, please choose your reward to see specific details about your location. Lomography cannot be held liable for any additional customs charges that may occur in your location. We have logistics hubs in the following locations: Hong Kong, Japan, New York and Hungary. This means we can deliver to customers from the EU, USA, Hong Kong, or Japan without additional customs fees incurred when you receive your camera. Please be aware there may be extra import costs to pay upon delivery, depending on your location. Backers in the USA don't need to pay any additional shipping costs. However, Backers who live in the State of New York do need to pay Sales Tax, please add an additional 8.875% onto your pledge amount to cover local sales tax. For example, if you live in the State of New York and pledged for the $96 reward, please add an additional $8.52 onto your pledge amount ($8.52 is 8.875% of $96) to cover New York Sales Tax. If you forgot to add this, or didn't know about it, don’t worry – it’s simple to add in even now. You can edit the amount of your pledge right up until the project ends on the project page. USA, Canada: $0. Hong Kong $10. EU, Taiwan, Singapore, Macao, China, South Korea, Indonesia, Philippines, Malaysia, Thailand, Vietnam: $15. Australia, New Zealand, Papua New Guinea, Switzerland, Norway, Sweden, Finland: $25. Argentina, Brazil, Chile, Colombia, Uruguay, Belarus, Kazakhstan, Peru, Reunion, Venezuela: $100. The rest of the world: $35. If you are interested in backing the project but your country isn’t listed, or if you have any further questions about shipping, handling or local charges, please feel free to reach out to us to assess opportunities. We’re proud to have successfully funded and completed five ambitious Kickstarter projects. Over the past few years we’ve been working very hard to bring the Lomo’Instant Automat to life. However, we’re well aware that there’s always an element of risk involved in these kinds of projects. We’re dedicated to delivering a flawless product, and you can rest assured that we will do everything to fulfill your expectations. Our commitment to excellence means that the first shipment is set to go out in December 2016. We work in very close collaboration with our manufacturers to ensure everything runs smoothly. Nevertheless, unexpected delays in production or delivery are always a possibility, and may push back our estimated delivery date. We promise to keep you informed on this every step of the way. We’re absolutely ready for this exciting challenge, and we hope you’ll join us in completing this amazing project! Thanks for the love! Have a Lomography Light Painter as a token of our gratitude. Thanks for the love! Have a Lomography Light Painter and some Fotoclips for being so awesome. Thanks for the love! Have a Lomography Accessory Package and show off your support. The early bird gets the worm! Save 35% on the basic Playa Jardín (Black) or Bora Bora (White) Lomo'Instant Automat with this amazing deal! Add just 25USD to your pledge and you'll receive three packs of Fujifilm Instax Mini with your camera reward! Thanks for the love! Get the Lomo'Instant Automat Playa Jardín or Bora Bora for a very special price! Grab a great deal with our Kickstarter Special - get the Lomo'Instant Automat Playa Jardín (Black) or Bora Bora (White) for a specially reduced price! The early bird gets the worm! Save 35% on the Playa Jardín or Bora Bora Lomo'Instant Automat and three lenses with this amazing deal! Add just 25USD to your pledge and you'll receive an extra three packs of Fujifilm Instax Mini with your camera reward. Thanks for the love! Get the Lomo'Instant Automat Playa Jardín or Bora Bora and three lenses for a very special price! The early bird gets the worm! Save 35% on the Lomo'Instant Automat South Beach and three lenses with this amazing deal! Thanks for the love! Get the exclusive Lomo'Instant Automat Punalu'u and three lenses for a very special price! Grab a great deal with our Kickstarter Special - get the Lomo'Instant Automat Playa Jardín or Bora Bora and three lenses for a specially reduced price! Thanks for the love! Get a Lomo'Instant Automat South Beach and three lenses for a very special price! Grab a great deal with our Kickstarter Special - get the exclusive Lomo'Instant Automat Punalu'u and three lenses for a specially reduced price! Grab a great deal with our Kickstarter Special - get the Lomo'Instant Automat South Beach and three lenses for a specially reduced price! Take super creative instant snaps with this awesome pledge package! Get a Lomo'Instant Automat of choice + three lenses with a Luminoodle and a Light Painter! Save 35% on the Lomo’Instant Automat Playa Jardín or Bora Bora and lenses AND get your hands on Lomography’s very first venture into the world of instant photography – the Diana F+ Instant Camera Classic! Get a Lomo'Instant Automat Playa Jardín (Black) or Bora Bora (White) Lomo'Instant Automat Combo for the amazing Super Early Bird price and get three classic Lomography cameras on top - The Diana+, Fisheye No.2 & a La Sardina 8-ball. Get a Lomo'Instant Automat Automat Playa Jardín and Bora Bora plus lenses for the Early Bird Special price! Get a Lomo'Instant Automat Punalu'u and a Lomo'Instant Automat South Beach Combo for the Early Bird Special price! Double your instant photography fun and get a Lomo'Instant Automat Playa Jardín or Bora Bora and a Lomo'Instant Wide Black or White for a specially reduced price! It gets better - add just 25USD to your pledge and you'll receive three packs of Fujifilm Instax Mini with your camera reward! Double your instant photography fun and get an exclusive Lomo'Instant Automat Punalu'u, a Lomo'Instant Wide AND extra lenses for a specially reduced price! Double your instant photography fun and get a Lomo'Instant Automat South Beach, a Lomo'Instant Wide in Black or White AND extra lenses for a specially reduced price! Create your lightpainting masterpiece with this unique pledge package! Get a Lomo'Instant Automat along with a Pixelstick and Luminoodle! Please note that due to the size of the pixelstick different shipping rates apply to this reward tier. You may select "Tuvalu" as your shipping location in case your country is not listed. Get all four color versions of the Lomo'Instant Automat and lenses for the great Super Early Bird price! Get your hands on this killer package containing a Lomo'Instant Automat of your choice and a Lomo'Instant Wide of your choice, and a Belair Instant Camera! See the Lomography HQ in Vienna in the flesh with this super exciting pledge package! Get a Lomo'Instant Automat of your choice, a Lightpainter AND a trip for one to the Lomography HQ in Vienna. 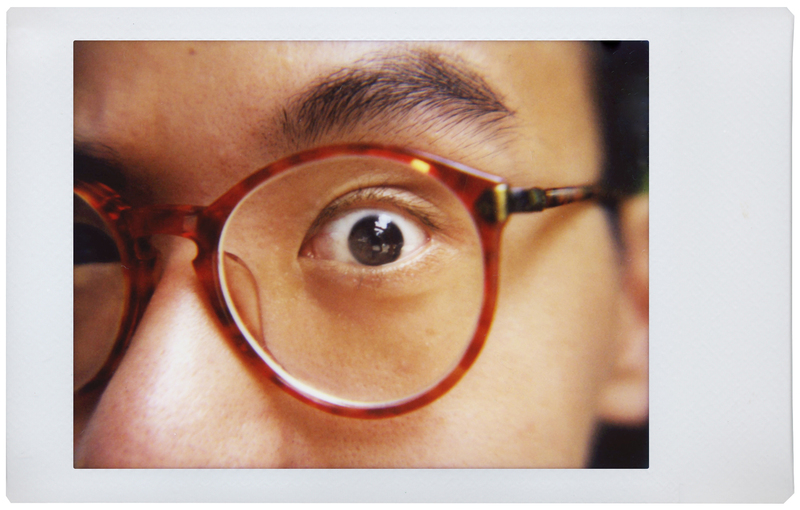 Get a tour of the office and meet the people behind your favorite Lomography products! Please check our Frequently Asked Questions section for more information about the details of the trip. Missed out on our other Kickstarter projects? Fear not! This jam-packed package will make up for it! Get a Lomo'Instant Wide of your choice, a New Petzval 58 Bokeh Control Brass Art Lens Brass, a Daguerreotype Achromat 2.9/64 Brass Art Lens, a Lomo'Instant Automat of choice and a Light Painter to top it all off! Double your instant photography fun and get a Lomo'Instant Automat of choice, a Pixelstick, a Light Painter AND a trip for one to the Lomography HQ in Vienna. Get a tour of the office and meet the people behind your favourite Lomography products!